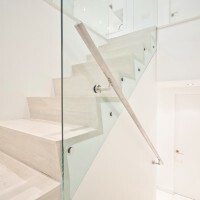 StudioLAB designed University Place, a renovated duplex for a family in Greenwich Village, New York City. The owners of this small duplex located in Greenwich Village wanted to live in an apartment with minimal obstacles and furniture. Working with a small budget, StudioLAB aimed for a fluid open-plan layout in an existing space that had been covered in darker wood floors with various walls sub-diving rooms and a steep narrow staircase. 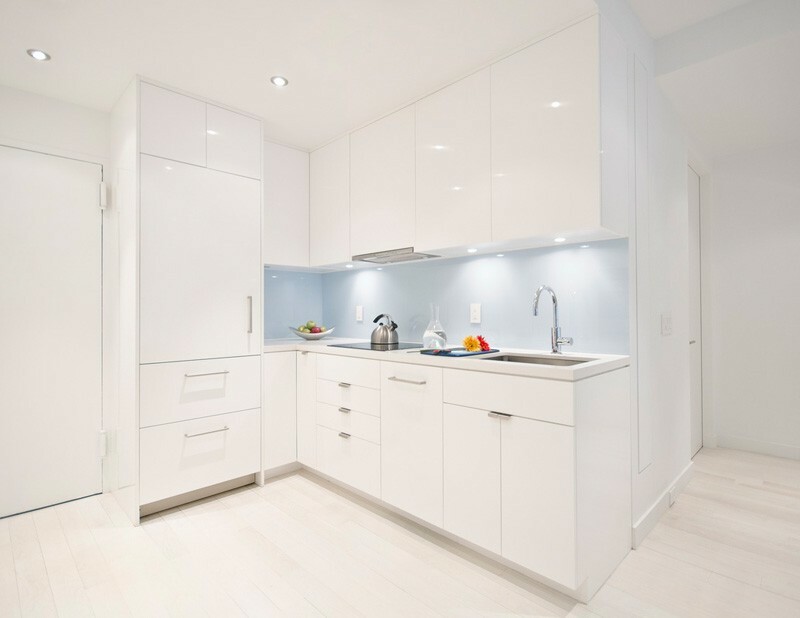 The use of white and light blue throughout the apartment helps keep the space bright and creates a calming atmosphere, perfect for raising their newly born child. 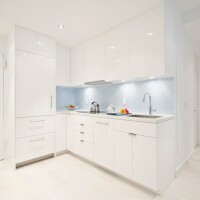 An open kitchen with integrated appliances and ample storage sits over the location of an existing bathroom. 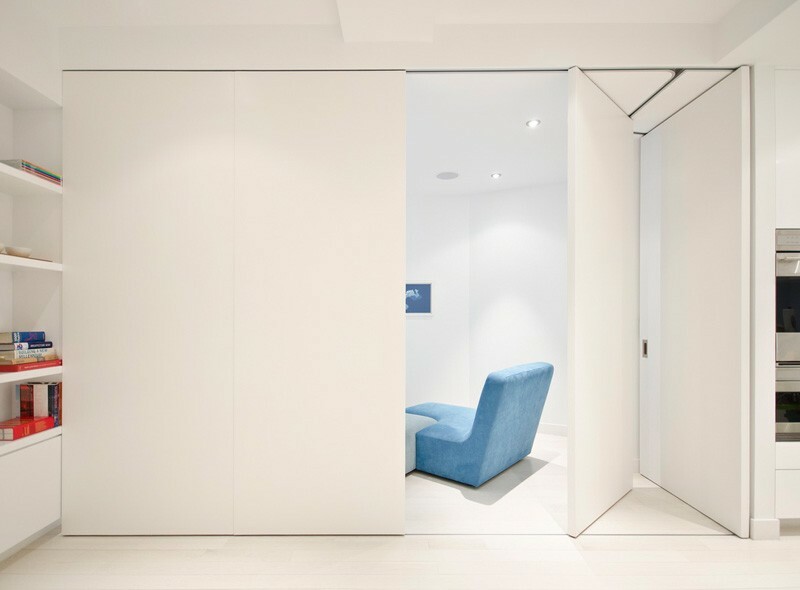 When privacy is necessary the living room can be closed off from the rest of the upper floor through a set of custom pivot-sliding doors to create a separate space used for a guest room or for some quiet reading. The kitchen, dining room, living room and a full bathroom can be found on the upper floor. 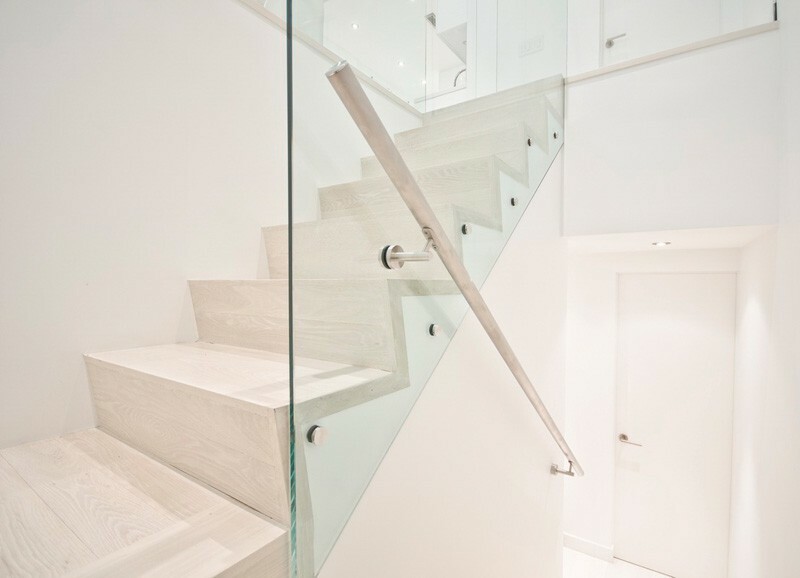 Connecting the upper and lower floors is an open staircase with glass rails and stainless steel hand rails. 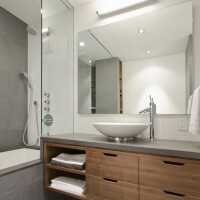 An intimate area with a bed, changing room, walk-in closet, desk and bathroom is located on the lower floor. A light blue accent wall behind the bed adds a touch of calming warmth that contrasts with the white walls and floors.